Making us Americans jealous yet again with their incredible government funding, Danish Crafts, a prime example of the kind of support Denmark bestows upon its designers, will roll out the new Crafts Collection, CC14, at Maison & Objet in September. This marks the fourteenth Crafts Collection, a curated selection intended to support and promote Danish designer-makers, connecting them with buyers, producers, and manufacturers through international trade shows. This year's collection was curated by London-based designer Nina Tolstrup with a theme based in sustainability, and how it is good for business at all levels, from maker, to seller, to consumer. 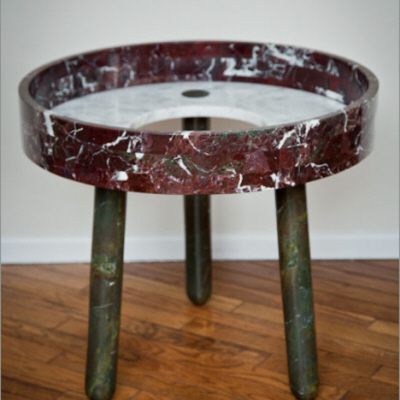 Twenty-eight designers created objects loosely interpreting the concept "re-think, re-duce, re-craft," using ceramic, glass, textiles, furniture and jewelry. Many of the resulting objects not only display the superior craft abilities of the designers, but also carry poetic responses to the sustainability theme. 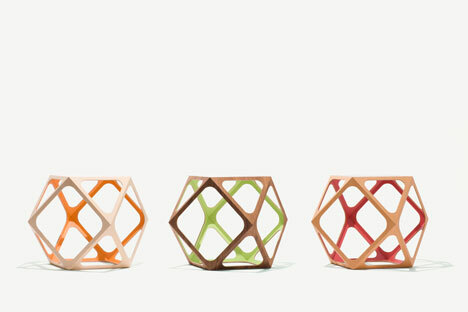 The Kubo table, by Rasmus Fenhann, is based in a series of studies on polyhedron geometry. The cuboctahaedron table's sides are all the same length, allowing it to be light but strong with a minimal amount of material used. The wood and glass tables are machine-milled, then assembled by hand. 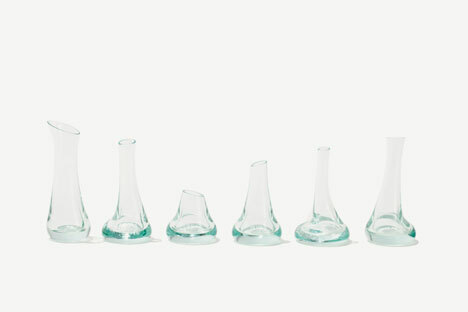 In contrast to Fenhann's precision, the form of Bettina Schori's Dropvases is given over to the manufacturing process. Using scrap glass, Schori employs a 'slumping' technique, melting down the discarded glass pieces. The glass is melted through holes on a metal plate raised 10 cm above the kiln plate. As the kiln heats up, the glass melts through the holes in hollow drops. 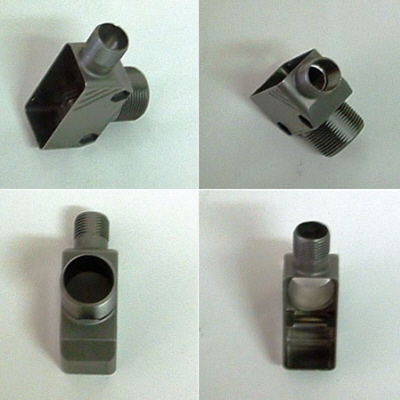 When the "drops" reach the kiln plate the kiln is turned off, resulting in the form of the Dropvases. 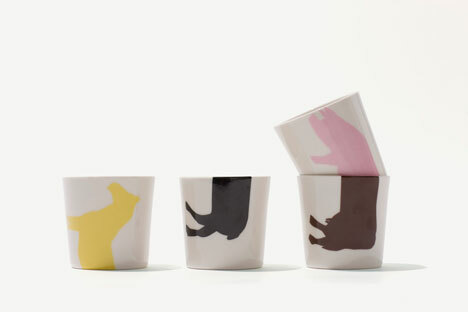 Ceramist Anna Olivia Kristiansen brings a sense of play to her Head and Tail cups--simple white porcelain cups printed with the silhouettes of fronts and rears of horses, pigs, cows and sheep. Owners can create 'new' animals simply by stacking pairs in their cupboards. Additionally, more of these subtly sustainable objects include: old plates revived with stories, cast gold grass straw rings, and coloring book wallpaper. 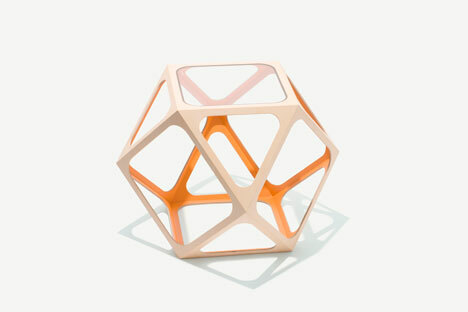 All debut at Maison & Object in Paris, September 3-7.